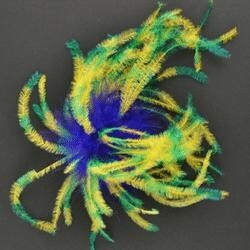 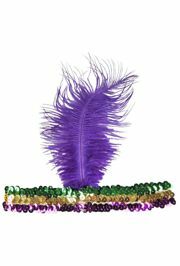 This hair clip decorated with fluffy purple, green and gold ostrich feathers is a great accessory to your Mardi Gras party costume. 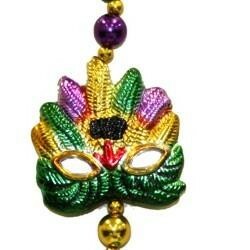 Feather Mask Necklace is on hand strung 42in beads. 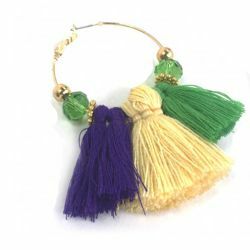 The purple, green, and gold beads are 12mm in diameter. 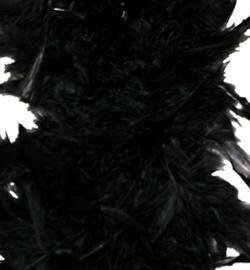 There are 4 Feather Mask medallions which are 2-1/4" Wide x 2" Tall. 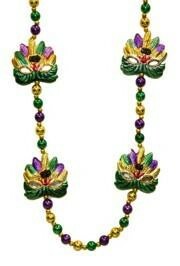 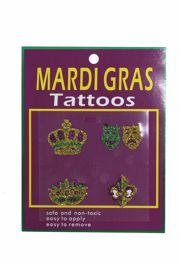 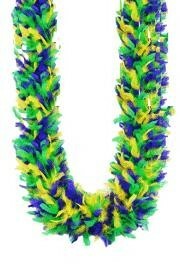 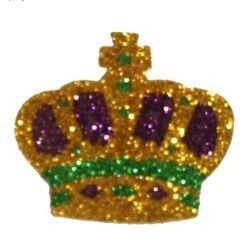 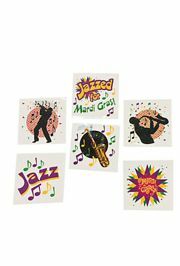 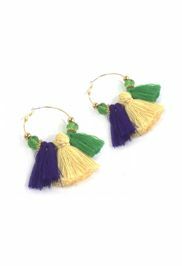 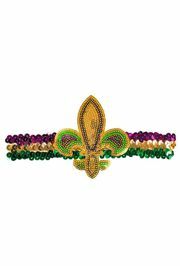 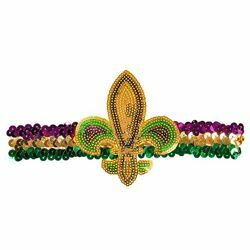 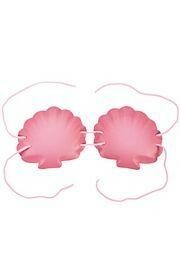 These are great Mardi Gras beads for parties and parades. 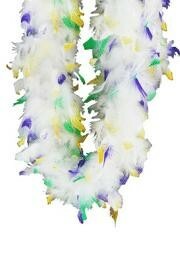 Adjustable Bikini Top decorated with purple, green and gold feathers is great for Mardi Gras parades. 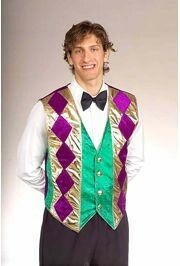 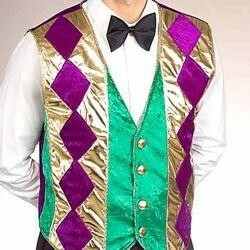 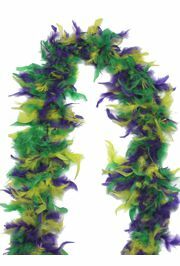 Make this purple green and gold Mardi Gras vest a part of your masquerade costume. 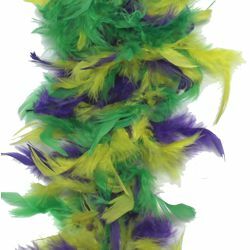 This white chandelle feather boa with purple, green and yellow tips is a perfect accessory to your Mardi Gras party costume. 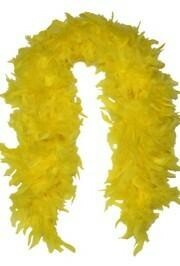 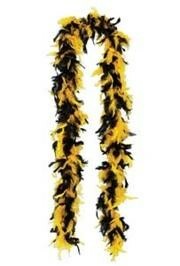 Add a bright accent to your masquerade or party costume with this black and yellow feather boa. 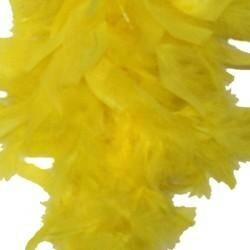 Complete your masquerade or party costume with elegant yellow feather boa. 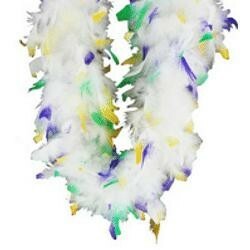 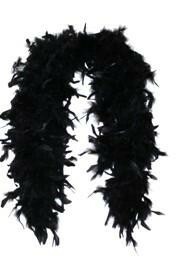 Elegant feather boa is a great accessory to a masquerade or party costume. 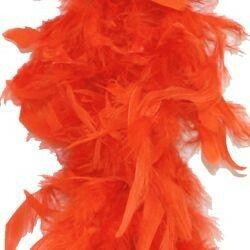 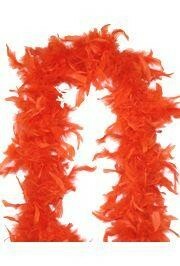 Complete your masquerade or party costume with bright orange feather boa. 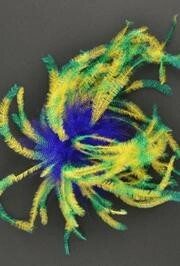 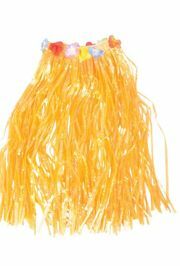 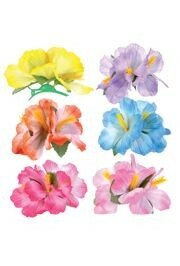 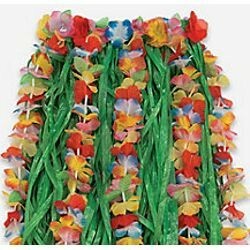 A multi-colored flower hula skirt for adults. 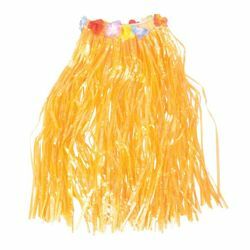 This skirt measures 31 inches long and 33in waist. 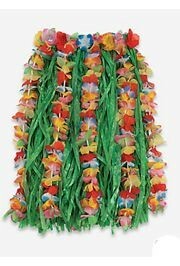 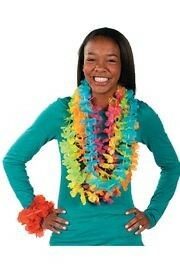 It is perfect for parties, luaus, parades, and much more.